Candlepin or 10-pin? Bowl with the locals at Boston Bowl, or with cocktails and dinner at Kings or Lucky Strike? If you're not from around here, you may not initially realize that bowling in Boston involves a variety of choices. What's candlepin? For a quick background, candlepin bowling is the Northeastern cousin to the popular 10-pin version that dominates most U.S. bowling alleys. Found primarily in New England and Canada's Maritimes region, candlepin features a smaller ball (about four-and-a-half inches) and thinner pins. Each player gets three tries to knock the pins down, and between throws, the pins are not cleared away. 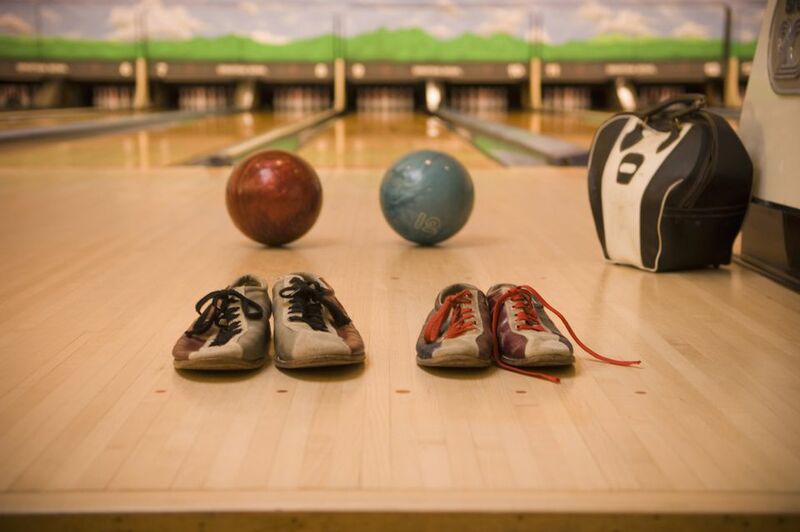 Like 10-pin, 300 points is the maximum score for candlepin – although the perfect candlepin game has yet to be played. You can find both candlepin and 10-pin options at lanes in and around greater Boston – and the places range from local town hangouts to full experiences with way more than just bowling. Located in Dorchester, Boston Bowl is a city institution, with an active local league. Recently renovated, it now has new scoring machines and flat-screen TVs at each lane. Blogger Lynn of Candlepin Adventures calls it "the definition of convenience in candlepin… They're open 24 hours, have candlepin and 10-pin, an arcade, food, drinks, and pool." Keep in mind that this place is popular with area families (especially for birthday parties). However, you can reserve lanes online in advance, so make a booking on the Boston Bowl website and then you won't have to wait on arrival. Central Park Lanes, a fixture in East Boston, is all about candlepin – and all about nostalgia. Pencil-and-paper scorecards, a jukebox with classic tunes, and no-frills prices keep the locals coming back. It's "great fun, cheap place for a good time with friends," recommends Yelp user Bethany R. Two floors of bowling also mean minimal lines. So, with the extra time and cash you'll save, you can then head to another nearby Eastie must-visit, Santarpio's, for unforgettable pizza. Dinner and bowling, all on the cheap? That's a great date night. Lucky Strike Social Boston, in the shadow of Fenway Park and formerly Jillian's/Lucky Strike, is a 70,000 square foot, three-floor entertainment complex that truly has something for everyone. On the first floor, Cheeky Monkey Brewing Co. is a great spot to grab craft beers and a bite to eat on the outdoor patio before a Red Sox game or concert at Fenway. They also have billiards, shuffleboard and ping pong. On the second floor, you'll find Boston's newest game room with over 150 games and a gigantic prize room, along with a full bar and restaurant. Then make your way up to the third floor for 16 bowling lanes, billiards tables and a full bar and lounge area. They now have a second location, Lucky Strike Social Somerville, which opened in April 2018 in the Assembly Row plaza, where you'll find everything from outlet shops to a movie theater and workout studios. This Lucky Strike is a total of 36,000 square feet and has two levels: a restaurant and bar on the first floor and bowling, floor shuffleboard, another bar, more than 130 different games and a private event space on the second. In the heart of the Back Bay, Kings Boston is another 10-pin venue with a high-end atmosphere. After 6 p.m., it's a 21+ venue; during the day, anyone younger than 21 needs an accompanying adult to get in. Proper attire is a must. And while bowling is the main draw, Kings also has a restaurant, three bars, and retro games such as Skeeball and shuffleboard. More than 30 flat-screen televisions broadcast the current games, too, so if there's a wait for a lane, there are plenty of other diversions to keep you entertained. Much like Lucky Strike, Kings recently opened up another location in Boston's Seaport, one of Boston's most up-and-coming neighborhoods, in late 2017. There are 16 bowling lanes, along with activities including pool, shuffleboard, air hockey and arcade games. There's also a sports bar with giant TVs and more than 40 draft beers on tap. In the same building, One Seaport, you'll also find the new ShowPlace Icon Theatre, where you can see the latest movies on a rainy or cold day. There are also Kings locations just outside the city in Dedham, Lynnfield and Burlington, MA. For years, Sacco's Bowl Haven in Somerville's Davis Square was the bowling alley that time forgot. Established in 1939 (and untouched for many years thereafter), it was recently renovated as part of the Flatbread restaurant chain. Today, it's a fun place for candlepin bowling and pizza (although it can get a bit crowded). You can opt for pizza and drinks at your lane while you bowl, or put your name in for a lane and have a bite at Flatbread while you wait for a lane to open up. And be sure to keep your eye out for something unusual: During the renovation updates, there was so much unexplained activity around the Sacco's building that it was featured on an episode of Ghost Hunters (although most of the spooky occurrences ended up getting debunked). Open Wednesdays through Saturdays, South Boston Bowlarama is a place for candlepin – and for hearing the local Southie accents at their finest. The nothing-fancy setting with do-it-yourself score cards and ball return, cash-only setup, and affordable prices to bowl also gets kudos for its "wicked cheap beer". Come for the bowling, stay for the characters. Want even more Boston travel news and updates? Subscribe to the About.com Boston travel newsletter and get all stories delivered right to your inbox!